A little retro style! 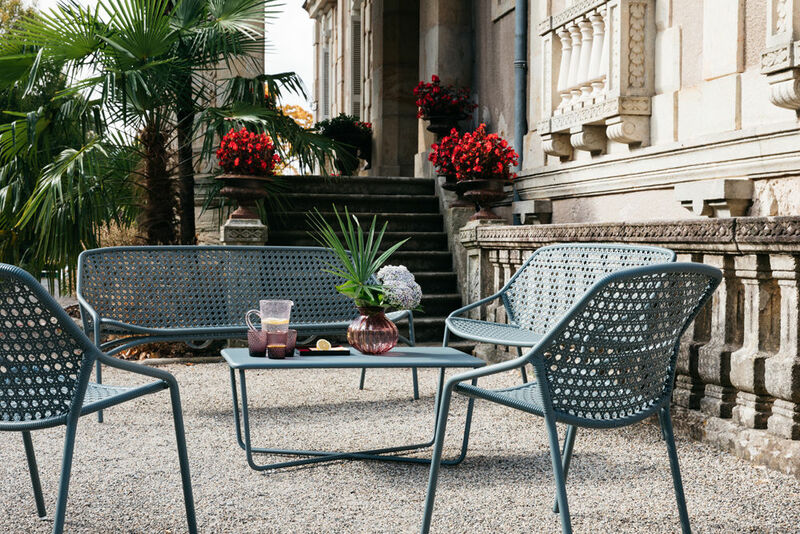 The Croisette collection revisits the rattan furniture of the 50s with joie de vivre and modernity. The straw teak has made space for weaving with dyed synthetic fibres, resistant to bad weather. The perforated material provides a great lightness visually. The structure is made of aluminium. 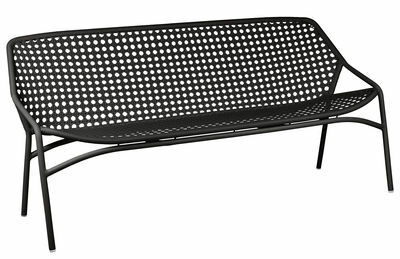 Light, thanks to the materials used (13Kg), this bench can be moved very easily. The especially designed height and angle of the backrest make it very comfortable. 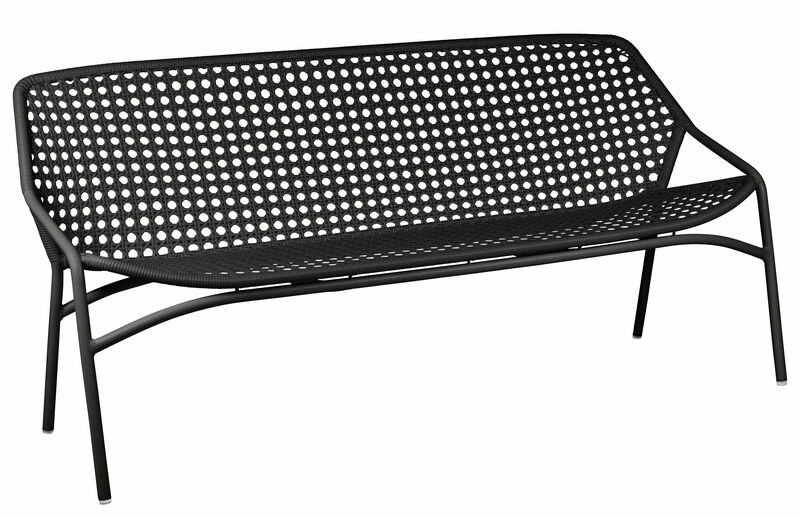 The Very High Protection treatment guarantees your bench a long lifespan, both inside and outdoors. Made using processes and a technology which meets high requirements in terms of quality, Fermob products are fully Made in France, as shown by the location of the plant in Thoissey.